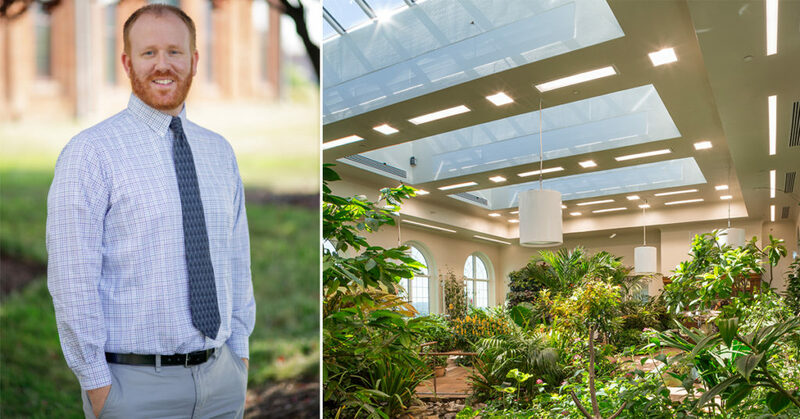 We are pleased to announce Russell Gray, PE, received an honorable mention from the American Society of Heating, Refrigerating, and Air-Conditioning Engineers (ASHRAE) Technology 2018 Awards Competition for his work at the Milton & Catherine Hershey Conservatory at Hershey Gardens. An overview of the facility can be found here. Russell led Barton’s mechanical staff and met ASHARE’s stringent criteria for the Public Assembly (new) category for Region III. Barton’s team was able to design and build a truly innovative mechanical design to specifically support the highly specialized requirements of delicate and exotic butterflies, support plant life specifically selected to simulate butterfly habitat, as well as maintain year-round comfort for visitors in an educational and retail setting. The ASHRAE Technology Awards program recognizes ASHRAE members who design and/or conceive innovative technological concepts that are proven through actual operating data. Furthermore, Technology Award recipients must successfully communicate innovative systems designs to other ASHRAE members.